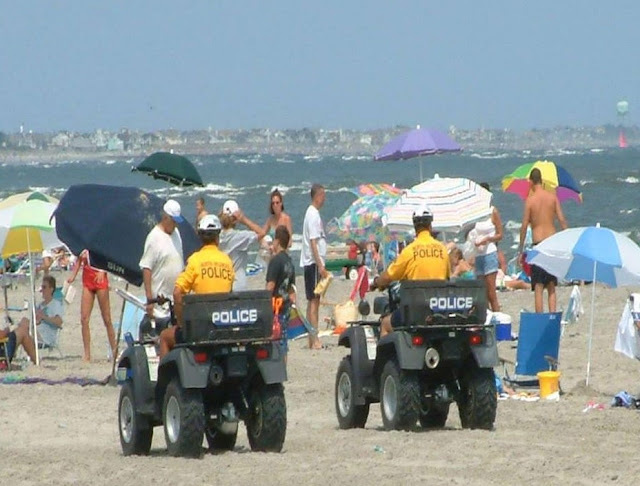 The North Wildwood Police Department has employment opportunities for mature adults looking for positions related to the field of criminal justice. We are extremely proud to be the starting point for many seasonal officers who were trained in North Wildwood and went on to continue their careers in law enforcement. Former SLEO II officers have gone on to have successful careers in various municipal, state and federal law enforcement agencies throughout the country. Applications are now being accepted for the 2019 summer academy. SLEO II applicants must be able to perform the essential functions of police work and are subject to a background investigation that will include a criminal history, driver’s license and reference checks. Applicants are then given an interview followed by a physical fitness evaluation and a mental health evaluation. The physical fitness evaluation will be in line with the entry level requirements of the Cape May County Police Academy. Drug testing will also be held prior to and/or during academy training. Should you desire additional information in reference to the application process, please contact Officer Eric Nevil via e-mail at training@nwpd.org or at 609-522-2030, ext. 1511. Applications can be found on our website at www.nwpd.org and must be received before March 31, 2019. The City of North Wildwood is an Equal Opportunity employer.